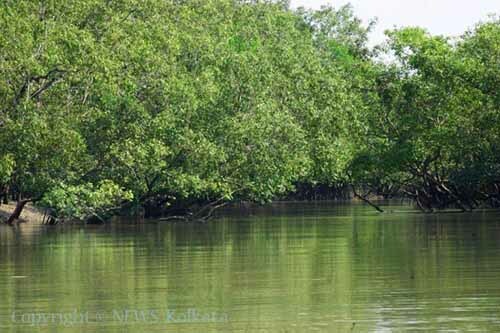 The forest lies in the vast delta on the Bay of Bengal formed by the super confluence of the Padma, Brahmaputra and Meghna rivers across Saiyan southern Bangladesh. 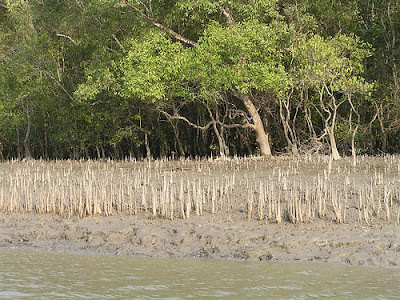 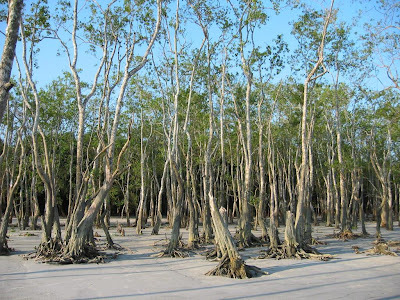 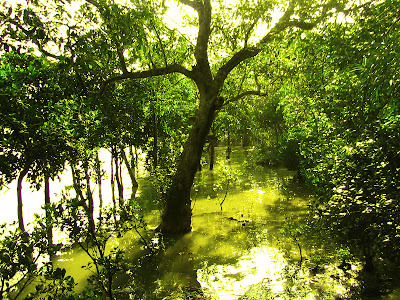 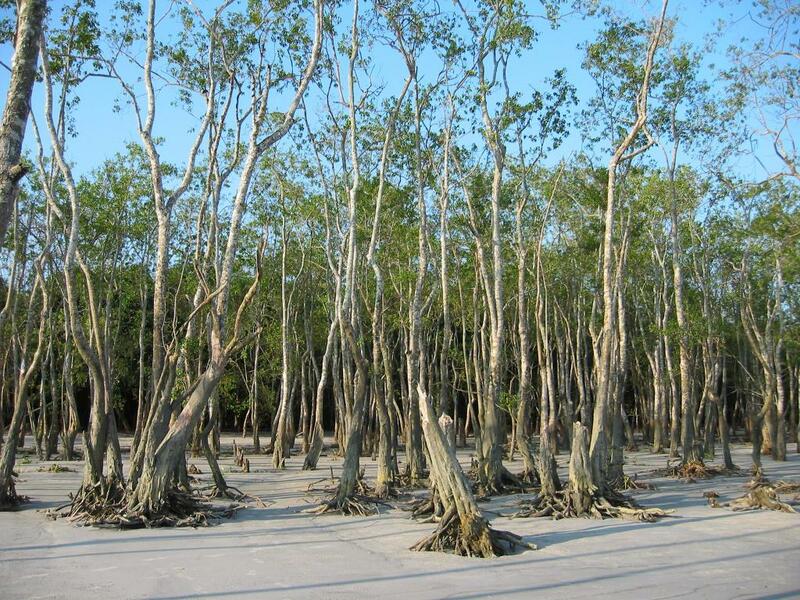 The seasonally-flooded Sundarbans freshwater swamp forests lie inland from the mangrove forests on the coastal fringe. The forest covers 10,000 sq.km. of which about 6,000 are in Bangladesh. 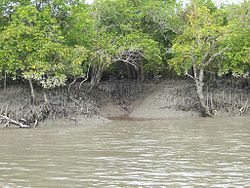 It became inscribed as a UNESCO world heritage site in 1997. 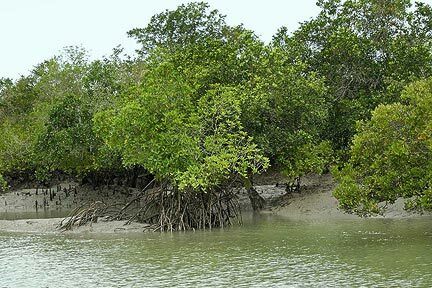 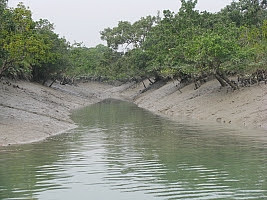 The Sundarbans is estimated to be about 4,110 km², of which about 1,700 km² is occupied by waterbodies in the forms of river, canals and creeks of width varying from a few meters to several kilometers.